Ok football fans, we’ve teamed up with Chang beer to give away a pair of tickets to see Leicester City v Manchester United at King Power Stadium on Sunday 3 February. 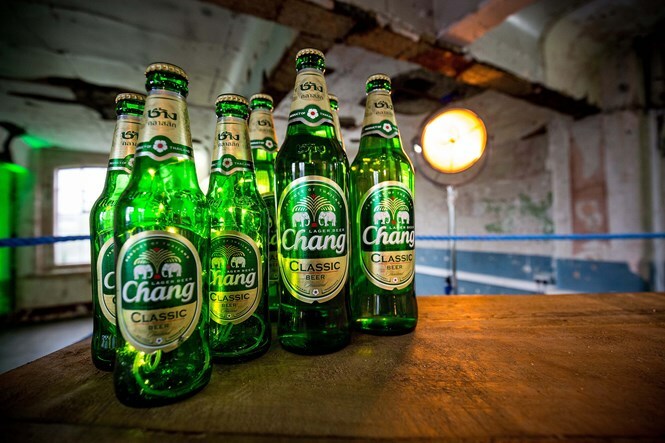 Chang are the official beer sponsor of Leicester City. Thailand’s fastest growing beer brand has proved popular since becoming the official stadium beer in 2018, and the brand is growing across the city too, with bottles now stocked in a range of city centre bars. If you want to get your hands on the tickets all you need to do is take a selfie of you with a bottle of Chang. You can enter via Facebook, Instagram, Twitter or email. If entering by Instragam or Twitter please use the hashtag #CoolAsChang when uploading your selfie, or for Facebook entries you need to upload your photo as a comment on the pinned post on our Facebook page. To enter via email just send us your photo to [email protected] and include your name and address details. All entries must be received by midday Wednesday 30 January with the winner announced the same day. To be valid your entry must show you clearly holding a Chang beer. Prize is valid for 2 tickets to see LCFC v MUFC on Sunday 3 February only. Tickets are not valid for any other game and cannot be exchanged. Tickets are situated in the home supporters area. Tickets will be collected from a city centre location before the match. Winner will be announced on Wednesday 30 January.